Despite the heading I don't buy bikes very often. I currently own two bikes, which is enough for me. My commutes are usually done with my first generation Salsa Fargo and I also use that bike for trips that don't mainly take place in the terrain. 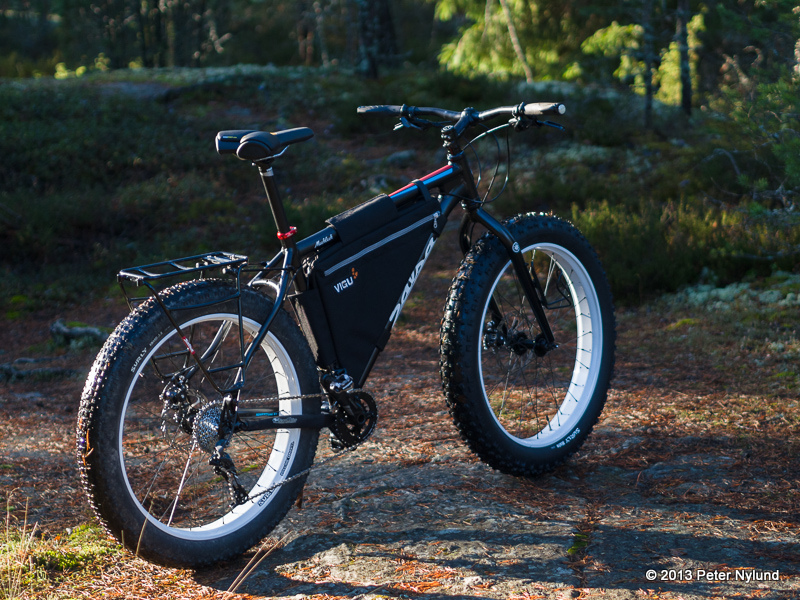 My other bike is a fatbike, with which I do trail riding, both summer and winter. 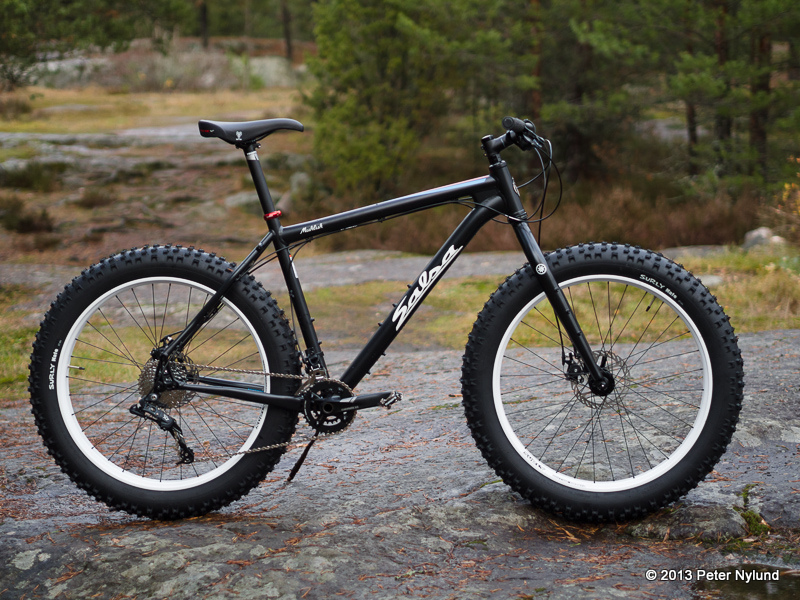 My first fatbike was a Surly Pugsley, which I got in 2010. 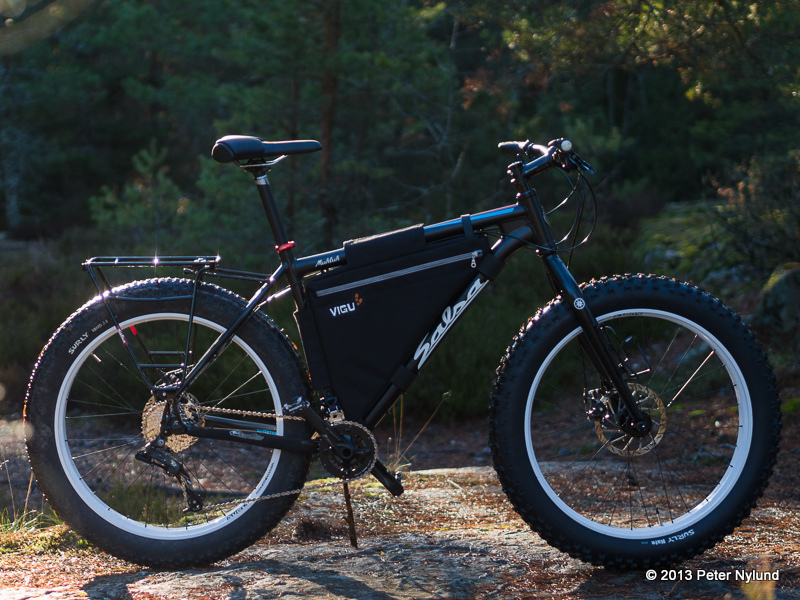 After noticing that my FS 29er, a Gary Fisher Hifi 29, didn't get much trail time, I sold both the 29er and the Pugsley to buy a Salsa Mukluk in 2012. 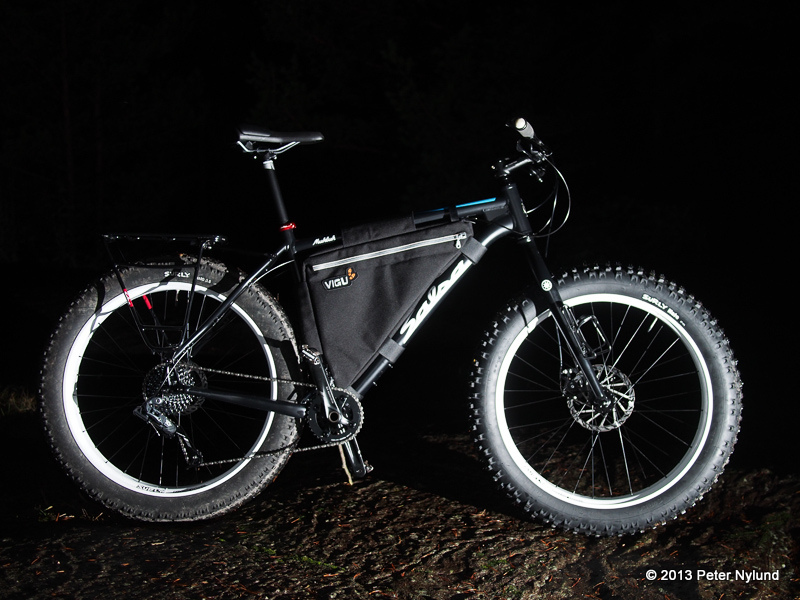 The Salsa Mukluk was a much lighter and for my use superior bike to the Pugsley in just about all areas. 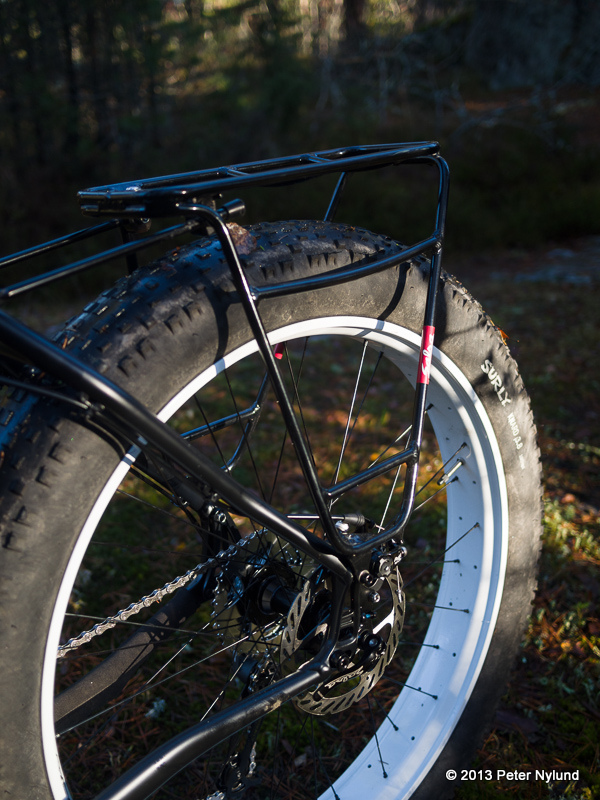 I liked the Mukluk so much that I decided to upgrade it to the 2014 model, which contains some features missing from the 2012 model: The Alternator dropouts enable singlespeeding and more importantly a backup, should the gears break down totally and the new frame also has space for the Rabbit Hole / Knard wheels and tires, giving a three inch tire on a 29er rim, something I'm very interested in trying for summer use. The 2014 frame still has the same excellent (at least for me) geometry of the 2012, though slightly tweaked. 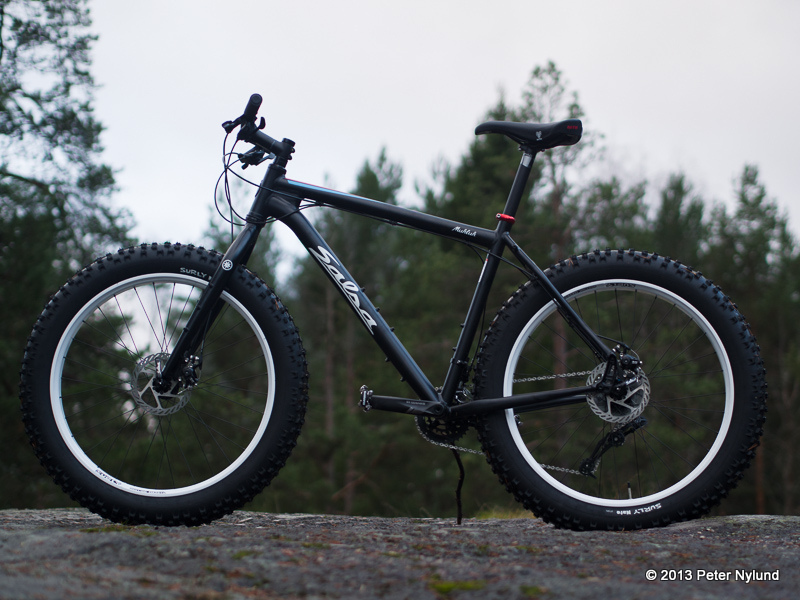 I got the new bike locally here in Turku from Foxcomp, which epitomizes all that's good about local bike shops. 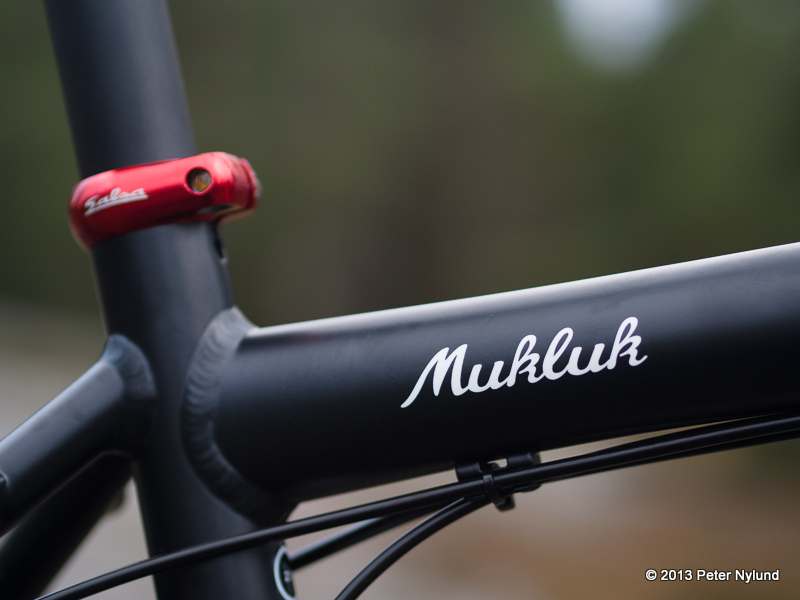 The 2012 frameset and wheels was sold via fillaritori.com. 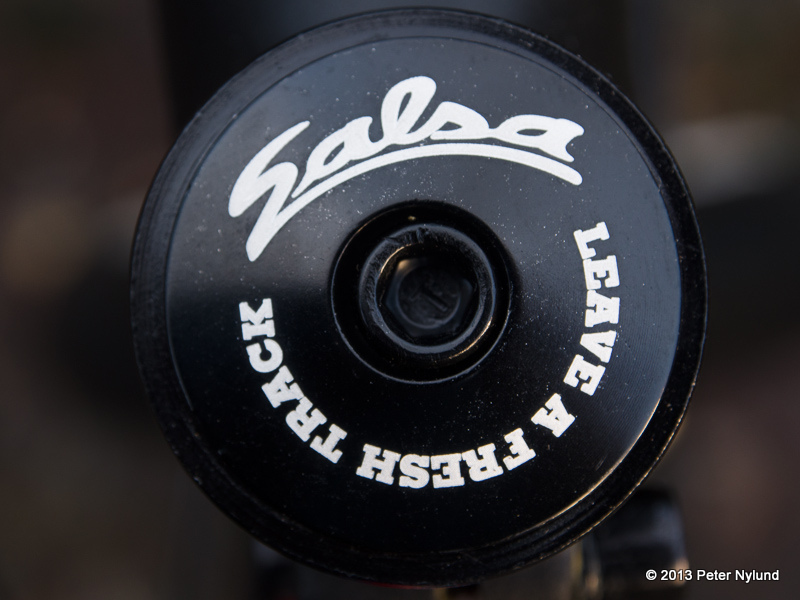 It arrived a few days ago, and I took a few pictures of it while it was still clean and in the original setup, the specifications of which can be found here on the Salsa web site. The build kit consists mainly of components from the lowest class that still works well, which is good enough for me. 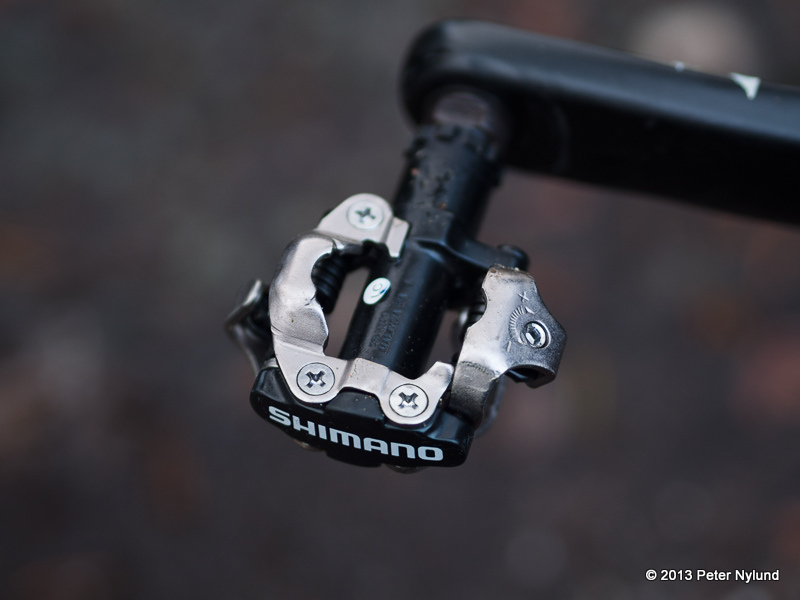 The gear shifting is SRAM, which I prefer over Shimano. The brakes are mechanical Avid BB7 disc brakes, which are the best mechanical ones and according to some people better than hydraulic ones (I don't agree, but will give them a chance.) I did some changes to the original configuration, like putting a 185 mm disc to the front rather than the 160 mm one. In my opinion the 185/160 setup works well and gives symmetrical braking properties for the same finger power used. 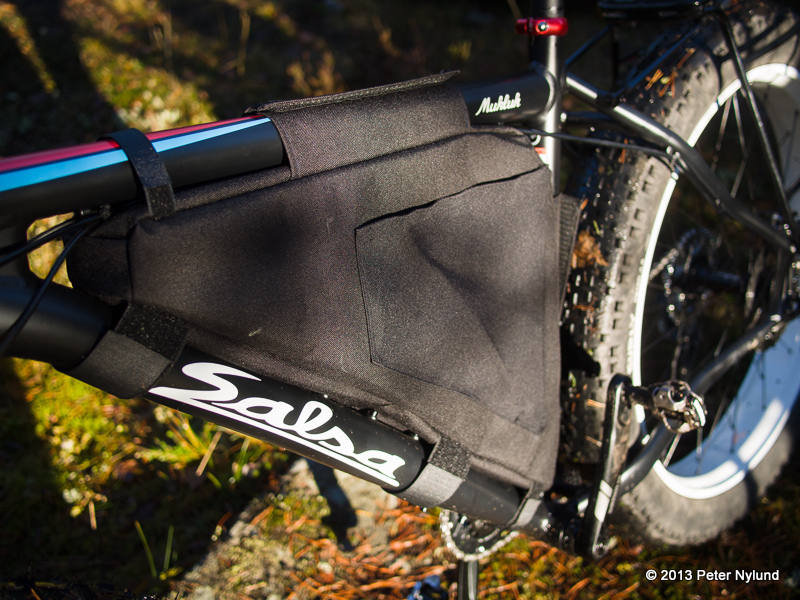 I naturally made a new framebag for the new bike. The open side pocket on the right of the framebag has turned out to be a good idea, e.g. for keeping a map or getting rid a trash from energy bars. I switched out the handlebar,stem and grips, not because the original ones were bad, but my old ones were proven and the Ergon grips really are superior. 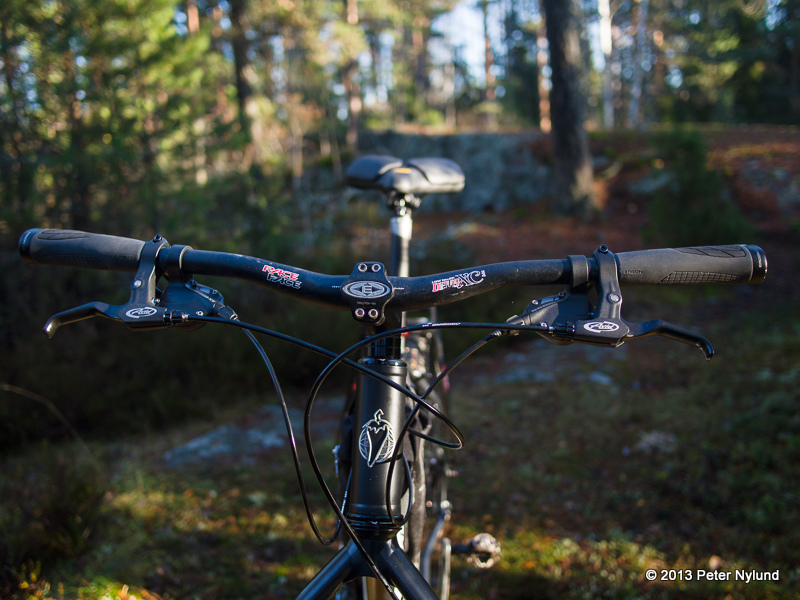 The saddle is the Rido R2, which for me is the most comfortable saddle I've ever tried. I will never give it up. The bottle cage / Anything cage position points forward this time. It should work just as well and I assume there is also a reason for it. 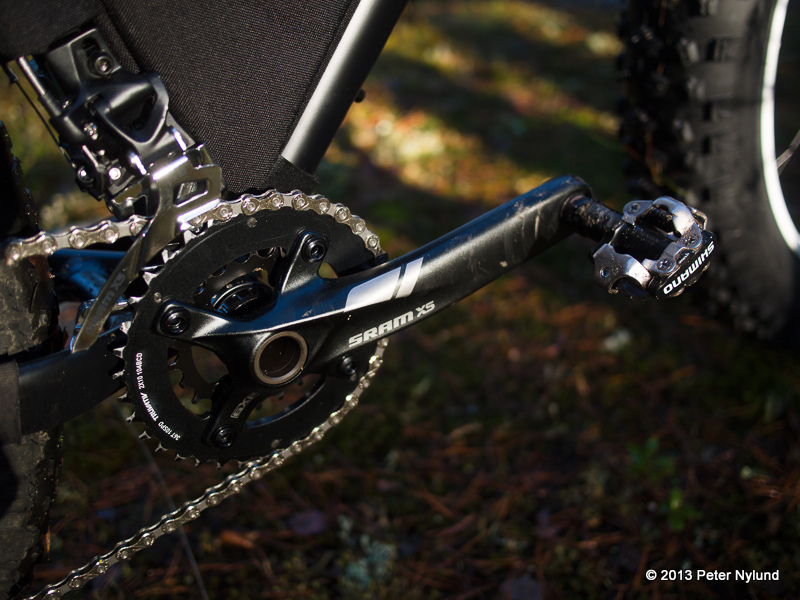 Simple SRAM X.5 fatbike crankset. I'll add some sort of bash guard later. 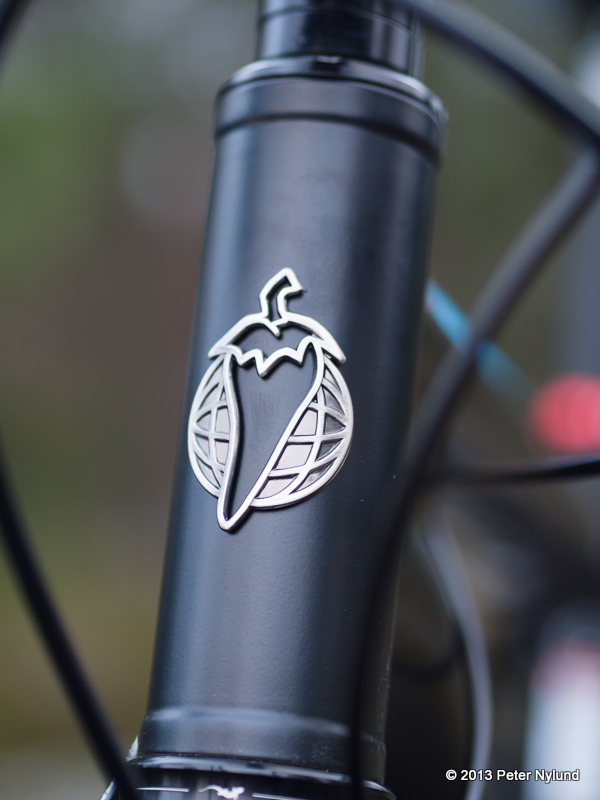 The Alternator Wide rear rack fit fine and will be my choice over a seatbag, mainly for the reason that the Thudbuster seatpost doesn't work with a big seatbag. (I have a 27.2->31.6 shim on order for the Thudbuster). 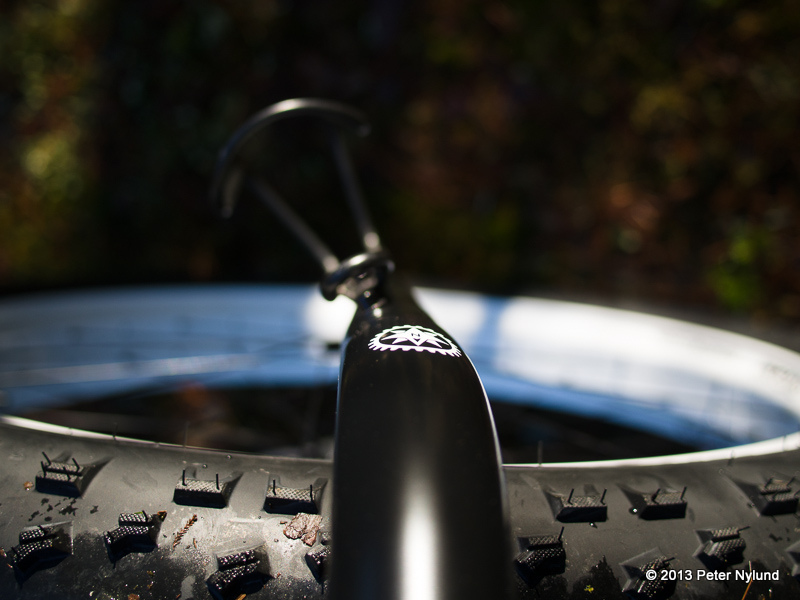 I also switched out the rear tire from the Nate to a Knard. The front tire is still the Nate, but I'm not sure I will keep it. In my opinion the Nate has a much too coarse tread. 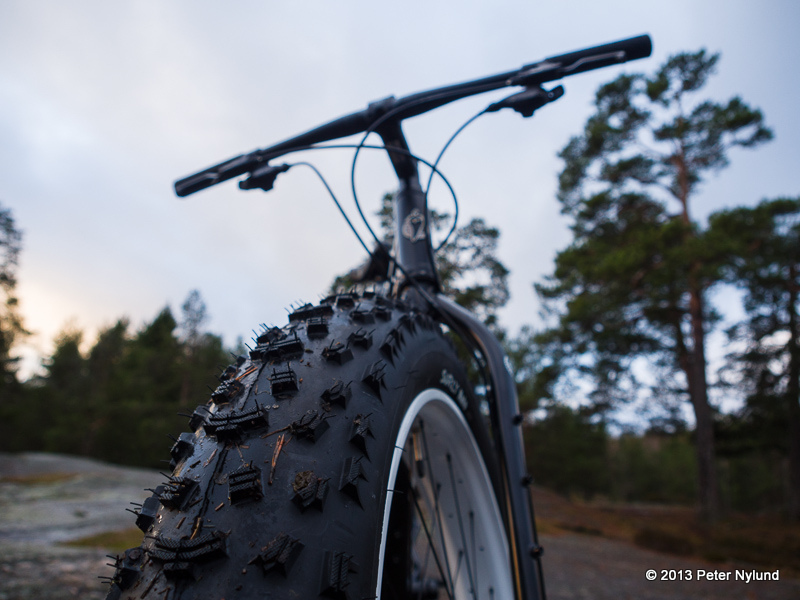 It rolls poorly, and what's worse, it negates the advantage a fat tire has over an ordinary one when it comes to how it affects ground. 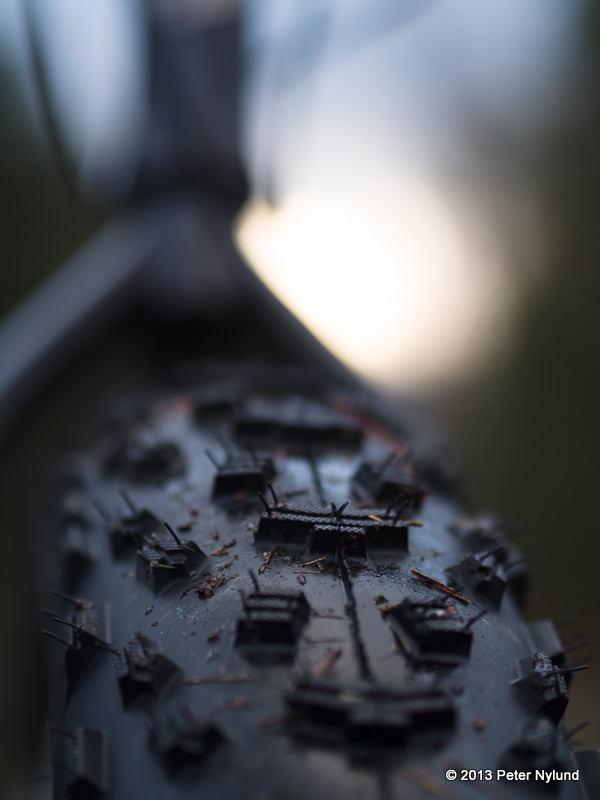 The coarse tread tears up what's underneath it just like an ordinary tire, while a fat tire with a shallow tread is much more kind to the trails. At some point I will also make the Unholy Rolling Darryl rims Holy, by making holes to lighten the weight. They are still strong enough even with holes in them. And finally, it looks cool in the night.